Just had a cancellation so there is now on place left for another our Bali April/May visit. We take just 4 Artists, Great studio, and self contained accommodation. Take a look at the Bali Bound page for details. More Bali in April/May one place left. Off to Bali again on the 20th for three weeks. This time I will be co-facilitating two workshops for men and getting a little artwork done as well. Back for Basso’s final session on the 17th December. Our visit to Bali in April/May 2019 has one place left so if you are interested get in quick. These retreats are always popular so this is advanced notice of a further event in September. I will publish dates ASAP. New model info, and Bali next April! We have had a rush of female applicants for modeling recently so this is to advise that it is unlikely that you would get a gig as a new female model in Perth prior to the Christmas break in mid December as models are booked in advance. Bookings starts again mid January. For details go to our ‘being a model’ page. We are off to Bali mid October for our next Art Retreat, so if you are interested in a further booking our first 2019 visit is April 30th to 9th May. Full details later. Bali Art in October yet again! I little late for this information as Georgia and I have been away gazing at art in Europe. Just two places left for the October visit departing Monday 16th and concluding on the 25th for full details go to our Bali bound page. This is to advise that I have updated my ‘being a model’ section in an effort to support local model applications to register to become models in preference to ‘temporary’ models who might be visiting Perth. Before doing this I canvased the 20 or so persons who hire models in Perth and the idea met with unanimous approval. Should any of our regular Perth models like a bit of extra spruking, please forward you details as per the questionaire in my ‘being a model’ section and I will send it out for you. 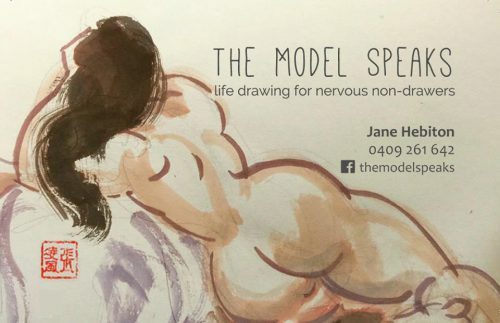 The wonderfully engaging Jane Hebiton is taking life drawing to a completely different audience with gigs for non drawers about the experience of being a model, in a way that only Jane could do it. She is doing a great job of expanding the boundaries of life drawing possibility. It is after all one of the most rewarding pastimes and challenge for us all. Model, artist and non drawers! Well done Jane hope it goes well. Take a look at the facebook page https://www.facebook.com/themodelspeaks/ for a gig near you. LIFE DRAWING CLASSES in Ellenbrook with Peter Efford! 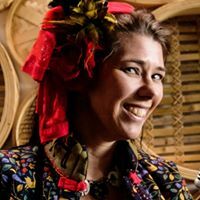 The Grapevine Community Art Space is located in Charlotte’s Vineyard at 1 Arrowsmith Ave, Ellenbrook. The programme is themed to offer a range of perspectives on how to establish life drawing competency and is designed to offer a personalised approach and coaching according to each participants needs. Peter will demonstrate a range of drawing techniques and ‘tricks of the trade’ to get the most out of a drawing session. He will offer supporting examples of his work. This series of workshops is designed for people who have had some previous experience with drawing, and is suited to adults aged over 18 years old. Why do we draw the human figure? Using hidden visual structure to create an accurate drawing. 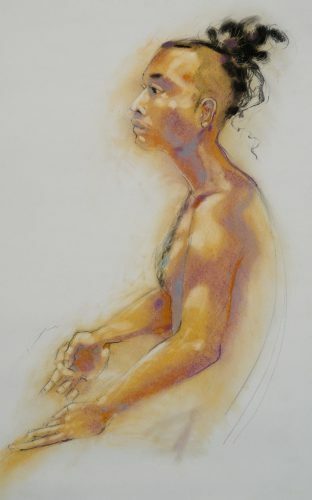 Life drawing is a fundamental artistic skill and an important part of any artist’s repertoire, whether they choose to exhibit in this genre or not, it transfers across all other areas of making art. The knack of seeing, communicating and understanding the human form has wider applications when conceptualising, developing narratives, and talking about the human condition. Drawing in and of itself is also a deeply meditative activity that has proven health benefits, including escaping from the worries of life, increasing brain function, developing hand-eye coordination and helping to formulate ideas and overcome creative blocks. Develop ideas or make sketches for future masterpieces! New Life Drawing Group, East Fremantle! Here is a special message from Maggie Hayes about her life drawing groups schedule for 2018. Happy to support anyone else’s group who feel they would like to use this blog for publicity. LIFE DRAWING SESSION February 2018. Its Life Drawing again… I have set the dates out below for Saturday morning again. If there is enough interest I am offering Wednesday night as well- but need a minimum of five people to run this session. As soon as everyone has confirmed the Saturday class, I can start booking models…so please send a brief email saying YES or no…. then I can take it from there. Registration: Cost: $18 per session for a block booking payable on registration (or $25 casual session). Cancellation Policy: Cancellation attracts a full refund if communicated at least 7 days before sessions commence. Materials: Everyone must bring their own materials. Non Attendance: Unfortunately, there cannot be a refund for non attendance of sessions during the term; because of model bookings and payment. Art Studio Location: Studio address details will be sent once you have been accepted to the course. The studio is located close to Canning Highway in East Fremantle. Bank: ANZ Account Name: Margaret Hayes. BSB: 016 307 Account Number: 5695 44045. Please put your surname followed by ‘LDC’ on the payment instruction. Your receipt can be sent to you by email on request, or handed to you on the first night. One place left for Bali! I take only 5 Artists so this is a special opportunity to indulge in 9 days of portrait and life drawing and have highly personalised access to great models, studio and accommodation along with tuition if you feel you need it. ! For full details go to Bali Bound on this website.